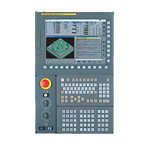 Providing replacement parts for the full GE IP family of CNC controllers. 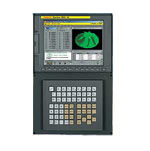 CIMTEC Automation is proud to offer replacement parts and repair services for the GE IP of CNC controllers. Long recognized as the world leader in CNC control products, GE IP provides CNC solutions that can handle from a few axes of control all the way up to sophisticated multi-axis machine tool solutions. Contact us for replacement parts or to have a part repaired. Call today! 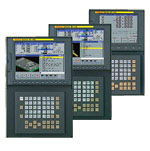 GE IP's most advanced line of CNC controls. Designed to handle the latest high-end machines requiring multi-axis and multi-path capabilities, the Series 30i Controller offers enhanced functionality and speed, ideal for complex and ultra high-speed applications. For applications requiring up to 24 axes simultaneously, GE IP's powerful and sophisticated 15i CNC controls offer open system intelligent control capabilities. This system is capable of handling large production applications requiring high speed and exceptional precision. GE IP's high-speed, high-performance line for 5 and 8 axes controls, offers versatility at an exceptional value, complete with system networking, performance monitoring and other sophisticated options typically found in more complex systems. Achieve maximum accuracy and productivity with GE IP's popular Series 0i family of controllers, a cost-effective answer to applications requiring up to 4 programmable axes.